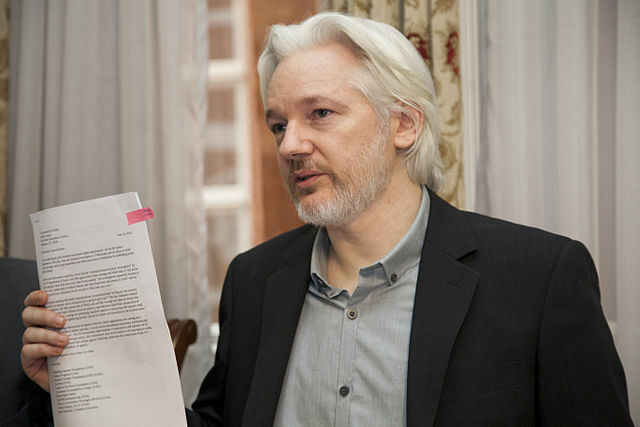 "The DOJ says part of what Assange did to justify his prosecution - beyond allegedly helping Manning get the documents - is he encouraged Manning to get more docs for him to publish," Greenwald tweeted. "Journalists do this with sources constantly: it's the criminalization of journalism." While it's true in theory, the New York Times and the Guardian will never be prosecuted because they're pushing the prog-globalist agenda. All these rules are only for little people who threaten the establishment. NBC is the official organ of whatever you call it: the military-industrial complex, the Deep State, the Blob. I'm glad they made it official by putting CIA & intel officials on their payroll. The above psychopathic tweet is what you'd expect to hear at Langley, not a news outlet. I suspect they're going light on charges to get him extradited and they'll pile on more charges once he's actually in the US. As Ann Coulter suggested, there's no way in hell any of this would be happening if Assange exposed Donald Trump's emails instead of Hillary Clinton's (he'd probably be getting awards).